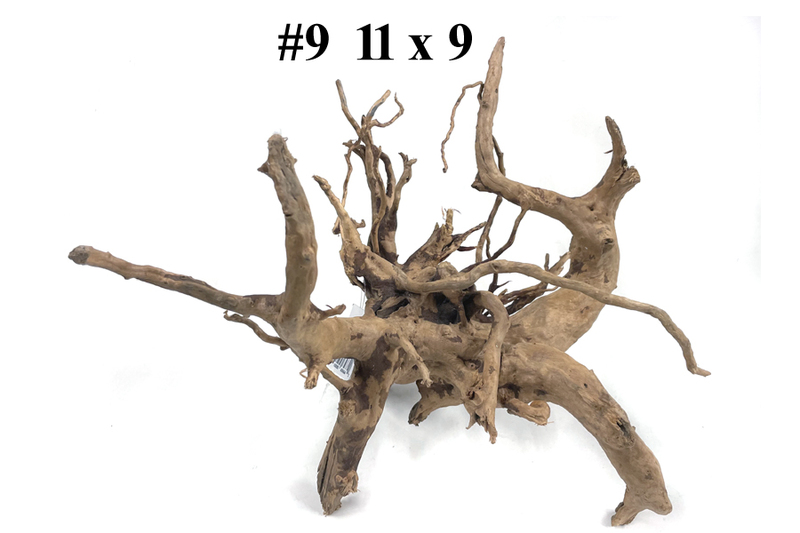 Unique genuine Malaysian Drift Wood aquarium decor. 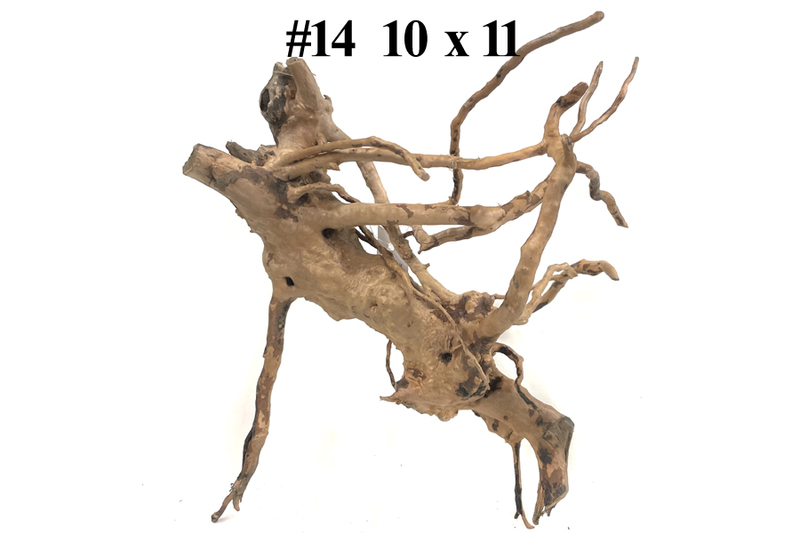 Great for freshwater aquarium decor, especially where lower pH/soft aquariums are desired such as Discus, Angelfish, or Ram Cichlids. 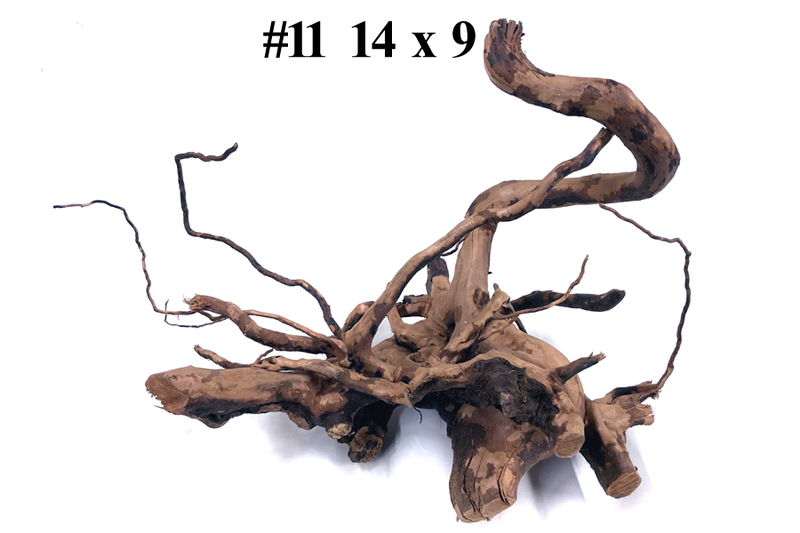 Superior to Mopani Wood in that this Malaysian driftwood does not leach tannins in the water as quickly and is easier to "cure"
Not recommended to take the place of superior tannin products such as Pillow Moss or Almond Leaves. 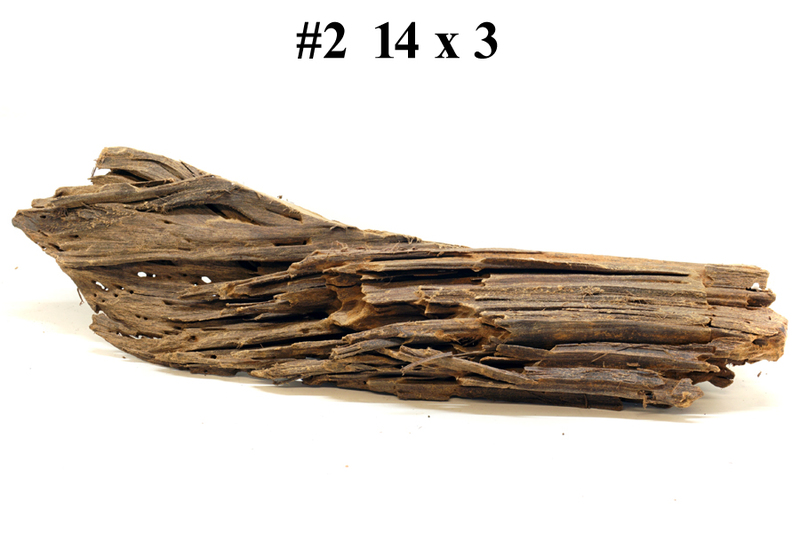 We receive new driftwood every month, so please check back often. 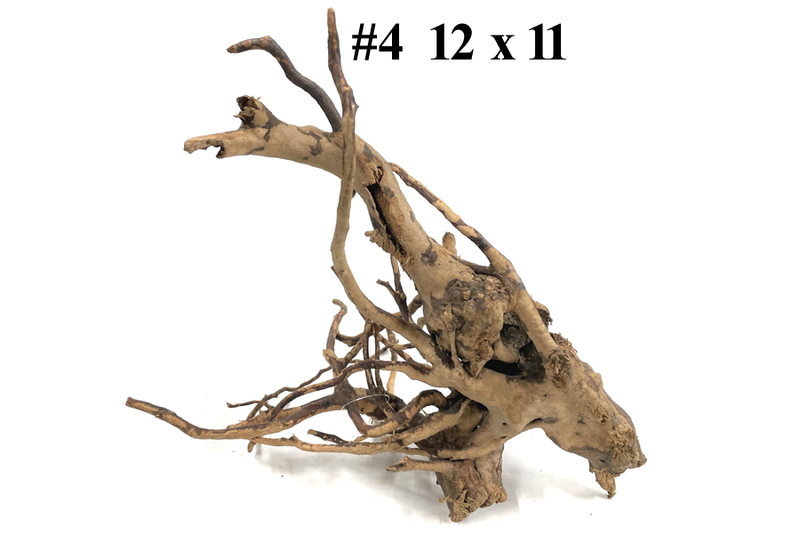 Each Small/Medium Driftwood piece weighs approximately 1-2 lbs. 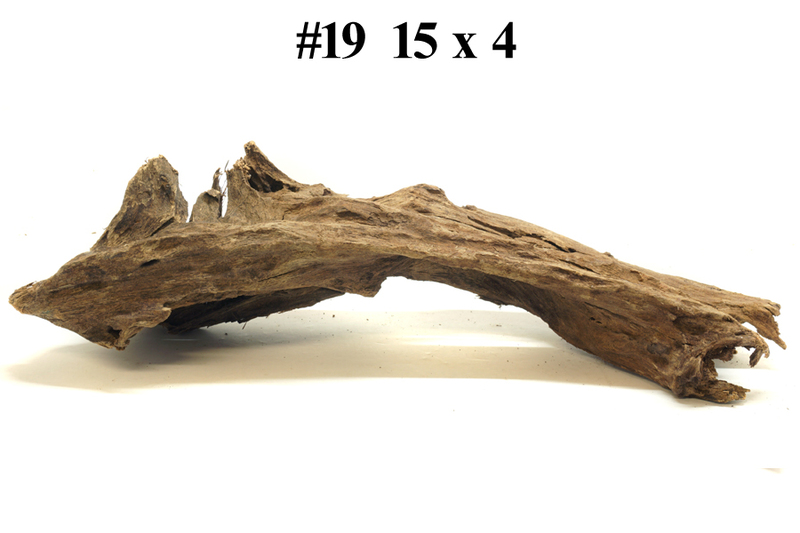 Each Large Driftwood piece is approximately 15-17" x 5-9"
Each Large Driftwood weighs approximately 3-5 lbs. 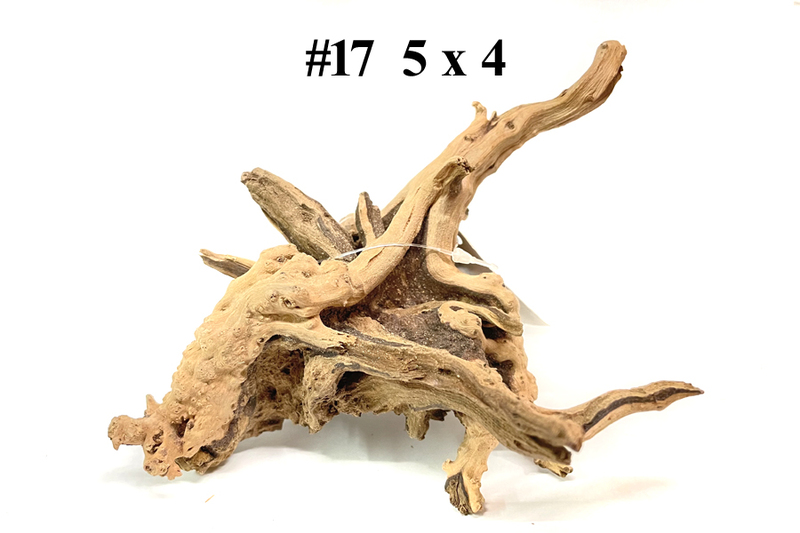 *Soaking each piece in water for 1-5 days before placing in aquarium is strongly recommended. 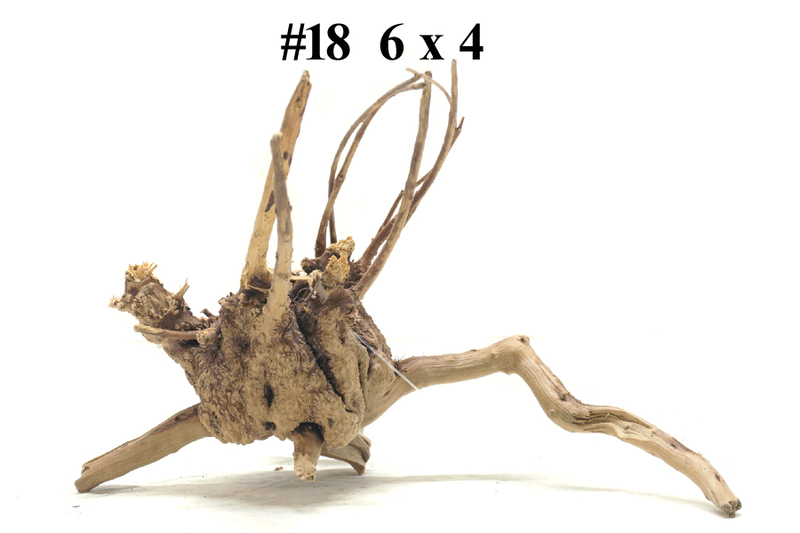 Brine/saltwater is best at about 1.025 specific gravity or 1/2 cup of salt per gallon. 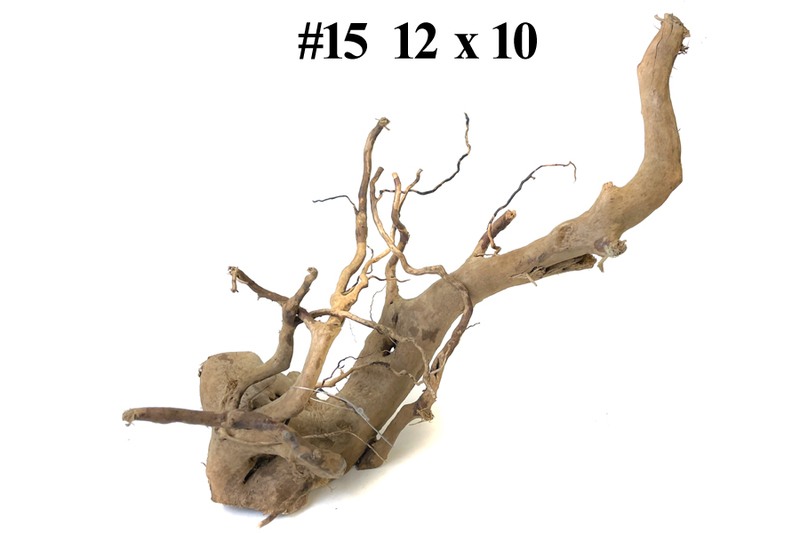 Follow this with a good rinsing with tap water. 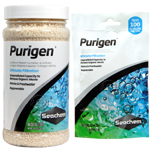 Plain rock salt or even marine salt mix is OK to use. 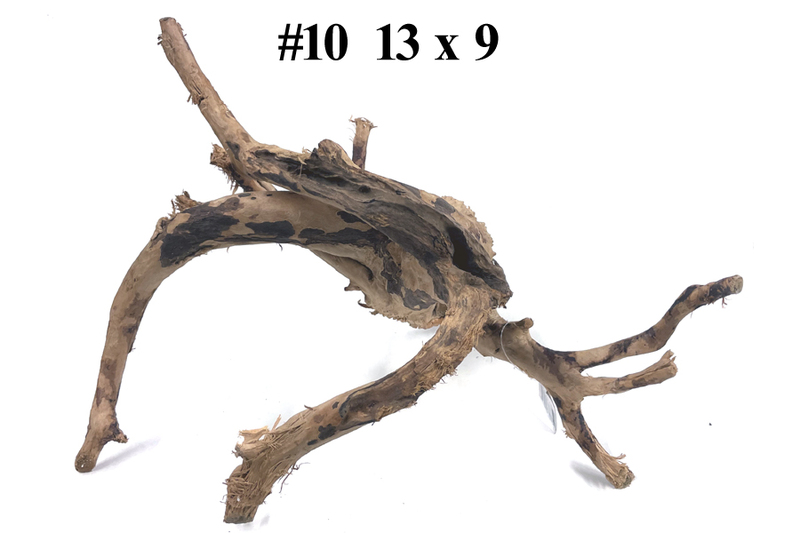 *The use of SeaChem Purigen is extremely effective for removal of "yellow" tannins (should this be desired, as these are not necessarily a problem in many specific aquarium environments). 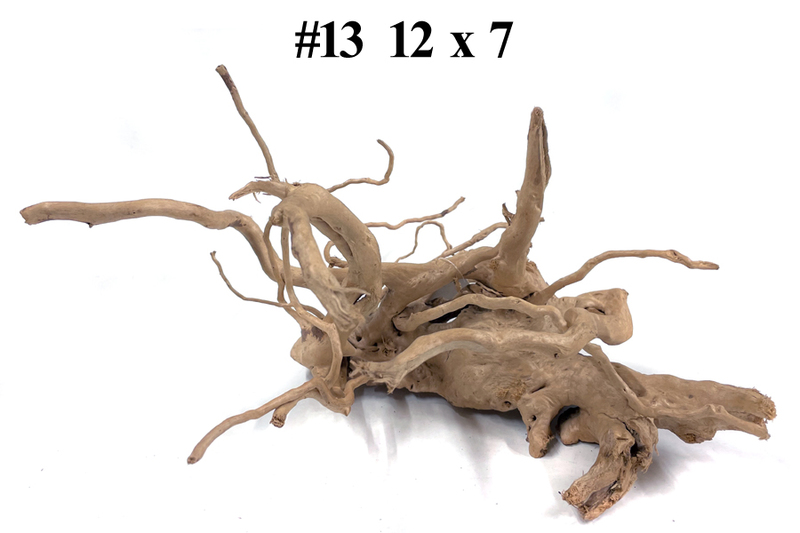 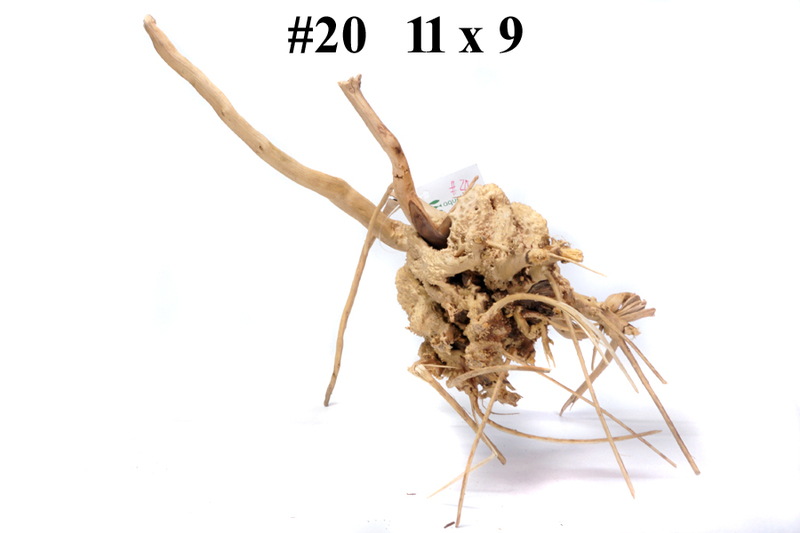 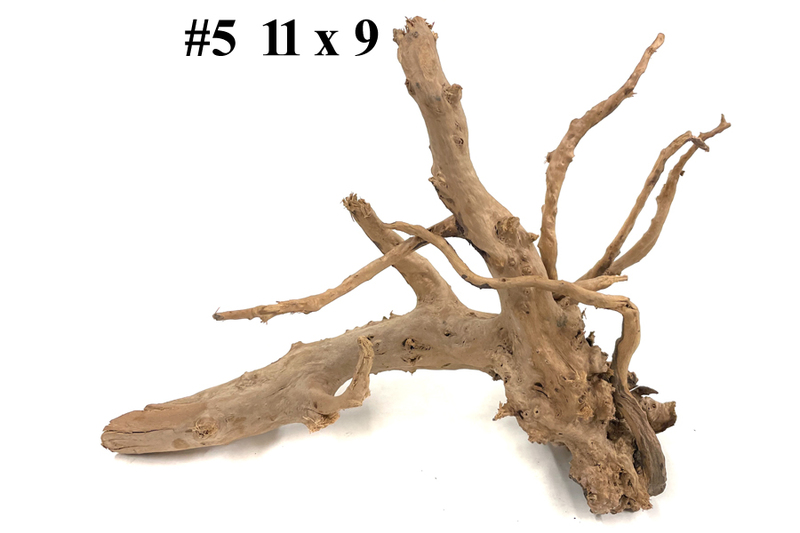 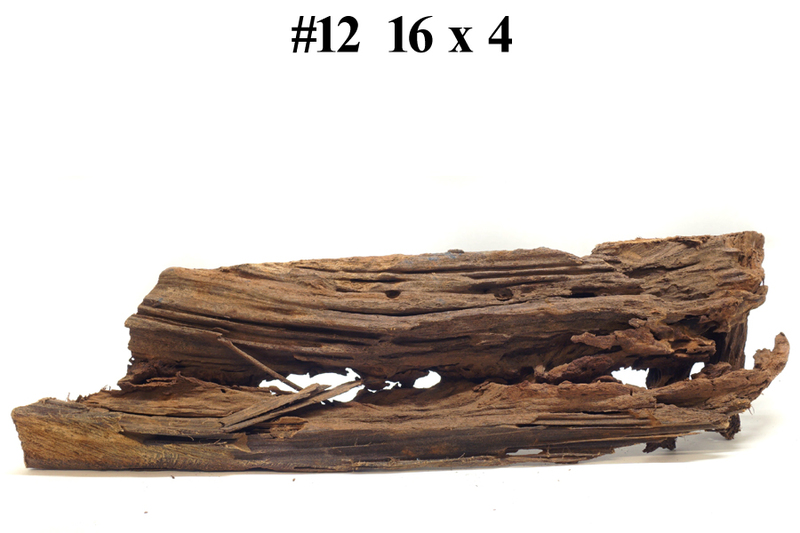 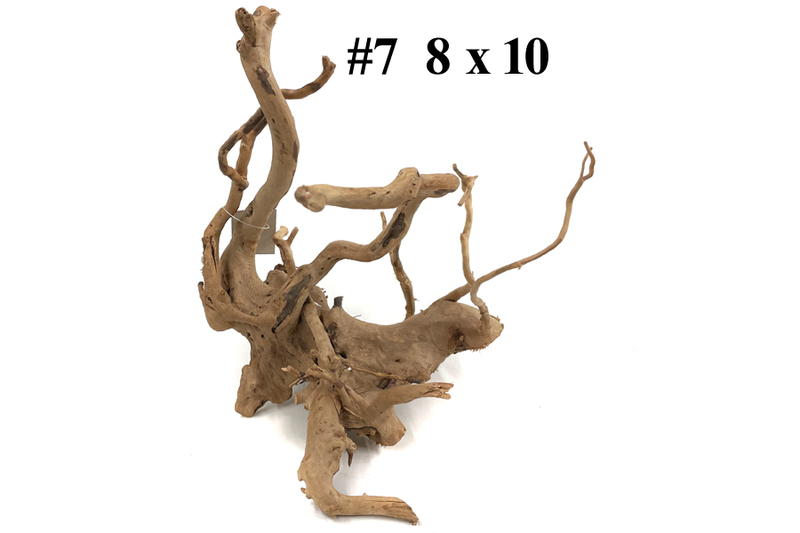 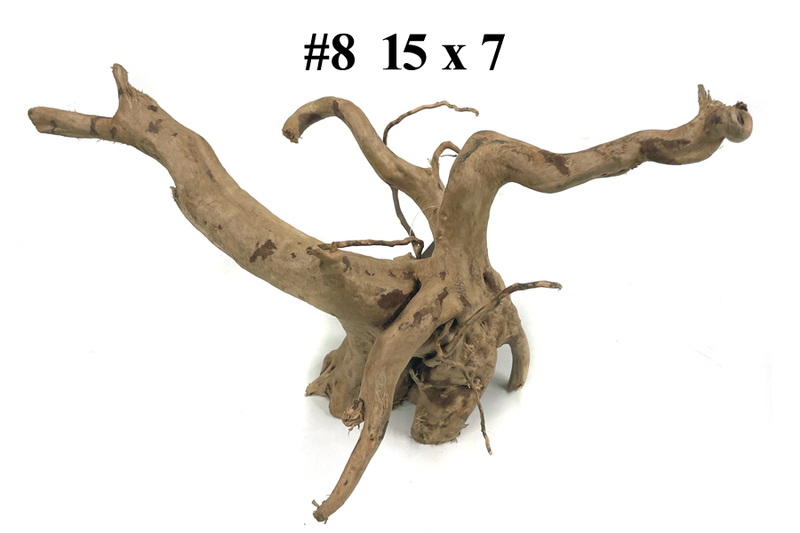 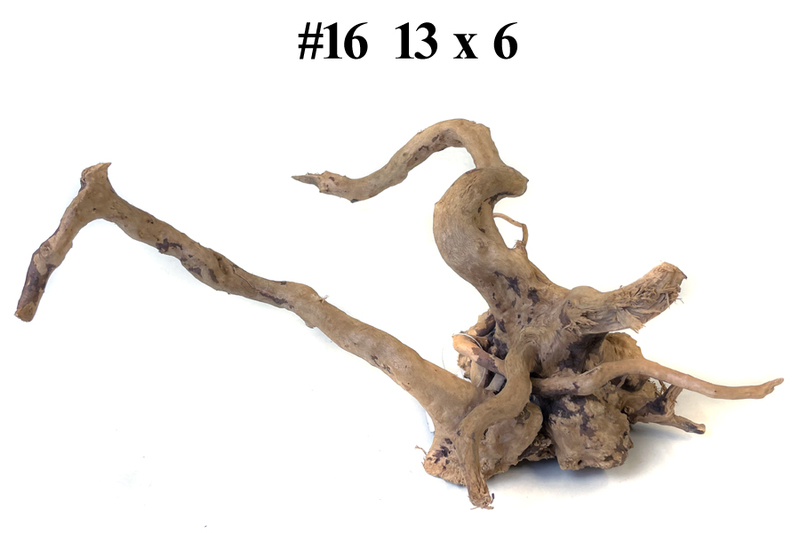 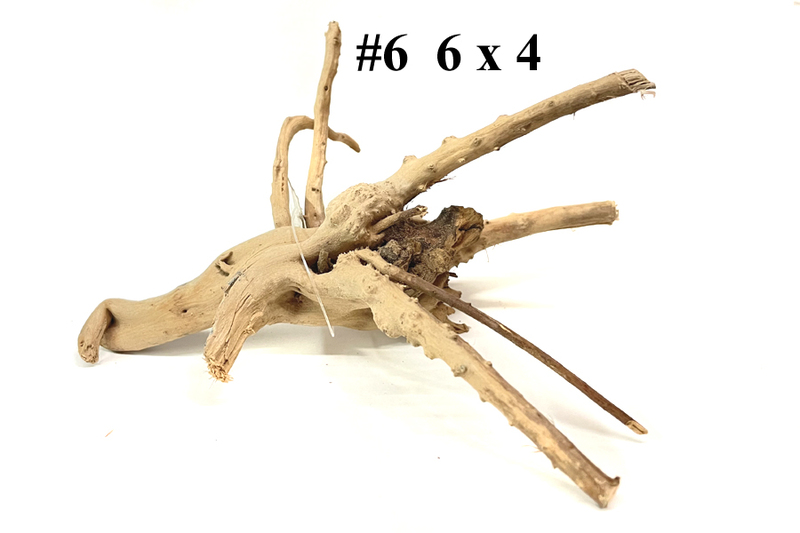 These Driftwood Specimens can be cut into increasingly smaller pieces (even fibers) for more pH reducing surface OR simply to have more Driftwood specimens from one large driftwood specimen. 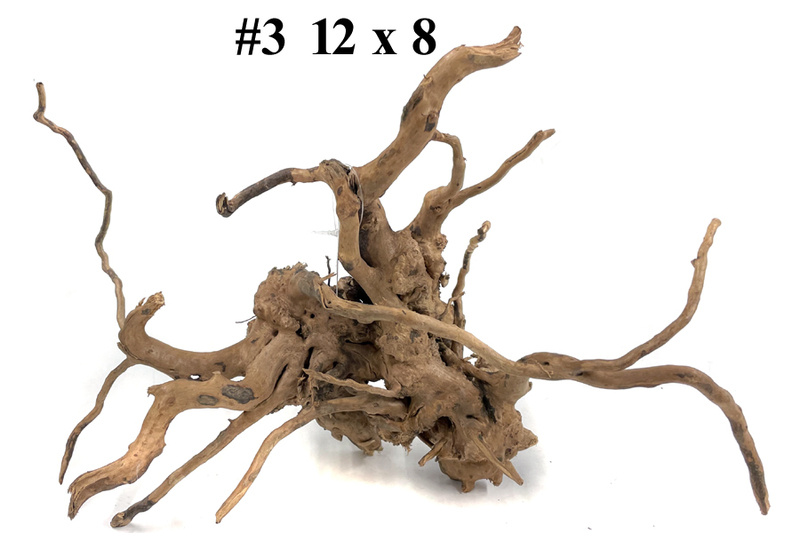 *If any fungus (white spots) develops on your Driftwood; we first recommend cutting this off, then either adding salt directly and letting it sit for a day OR BETTER adding full strength Potassium Permanganate to this area (not common with our driftwood, however this tip works for ANY driftwood bought elsewhere as well). 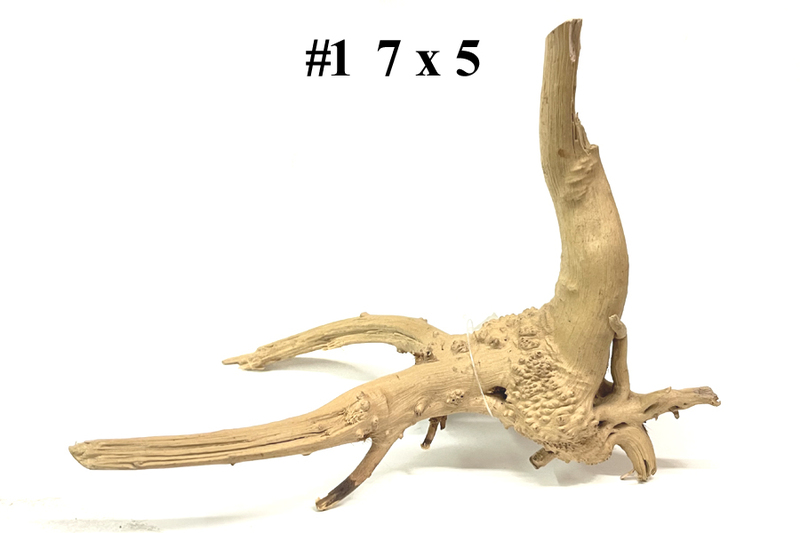 Please note, each specimen is unique, therefore there is only ONE of each specimen, please do not order more than one of any specimen.